Wyoming-based RMB Naturals was founded in 2015 by Cynthia Maida, a 25-year veteran in the medical field. Maida struggled with the realities of aging—thinning hair, gaining weight, losing sleep, and more—and saw that she was not alone in experiencing these symptoms. Armed with a deep understanding of women’s health and concerns, and bolstered by the fact that most dietary supplements she found were not to her liking, Maida started RMB Naturals with the intent to create allergy-friendly products with high quality ingredients. To make a long story short, RMB Naturals was founded to help women age gracefully and maintain optimum health so they can be there for the people they love, at their best, for as long as possible. Unlike every other sleep aid that we’ve reviewed so far, RMB Naturals Restorative Sleep Formula is one of eight products in a whole line that targets a female audience specifically. However, it seems like it’s mostly gendered marketing, as the none of the ingredients seem to be truly for women only. 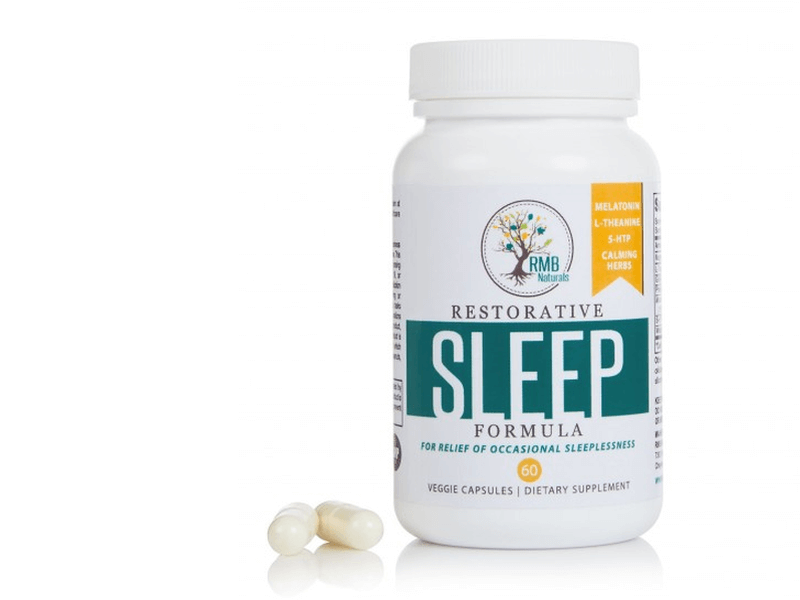 RMB Naturals Restorative Sleep Formula is the only sleep aid developed by the company; the other seven are focused on health and beauty, mood enhancement, and weight loss. Visit RMB Naturals Restorative Sleep Formula Now! RMB Naturals Restorative Sleep Formula is a powerful sleep aid that is also natural and non-habit forming. Like many of its counterparts, there is a two-pronged approach: The sleep aid’s formula is designed to induce sleep, and also to keep you asleep for a longer period of time. Additionally, there is the promise of a great beginning to your day—no fog, no grogginess, no sleep hangover—upon waking up. Restorative Sleep Formula leaves your refreshed and energized, with overall wellness and your immune system at peak performance because of proper rest. However, this is not a long term solution; it is particularly noted that Restorative Sleep Formula is for dealing with occasional sleeplessness only. A specific mentioned instance of possible use is to combat jet lag; the sleep aid will help you re-align and fix your sleep-wake cycle faster. It is important to remember that while RMB Naturals facilities are NSF-certified and pass cGMP standards set by the FDA, the dietary supplements that are manufactured there are still just that: supplementary. They may be potent, specialized, high quality, and even effective—but dietary supplements in general are not legally recognized as actual medication and you should not depend on them to cure or treat any disease or disorder by itself. Supplements may interact with medication or have unintended side effects, though; so it goes without saying that you should consult your physician before taking RMB Naturals Restorative Sleep Formula. The seven components are GABA, L-Theanine, Magnesium, Melatonin, Mucuna pruriens, Phellodendron Root, and 5-HTP. RMB Naturals Restorative Sleep Formula is made up of fast-acting key ingredients, with each dose encased in a vegetable-based capsule. Overall the formulation is very much different from the typical all-natural sleep aid; noticeably absent is Valerian Root, as well as gentle and calming herbs like Chamomile and Lemon Balm. Apart from Valerian Root, Melatonin is probably the most popular sleep aid component; in fact, both are sold as single-ingredient supplements. Melatonin helps you fall asleep because it is a hormone that regulates the body’s sleep-wake cycle. Now let’s look at the three amino acids: GABA, L-Theanine, and 5-HTP. L-Theanine is not so unfamiliar; it’s actually what gives green tea its relaxing, stress-relieving and sleep-improving properties. Like Melatonin, GABA and 5-HTP are actually found in the human body; and work well together. GABA is responsible for the reduction of activity in certain brain cells, which results in a sedative effect coupled with anxiety relief; while 5-HTP aids in the production and maintenance of healthy levels of serotonin. We previously discussed the merits of both in a review of another sleep aid—ORB Sleep Complex—containing the same two ingredients. The function of Magnesium as a sleep aid ingredient has similarly been explained in a review of a different product—Nested Naturals LUNA—that also contains it. 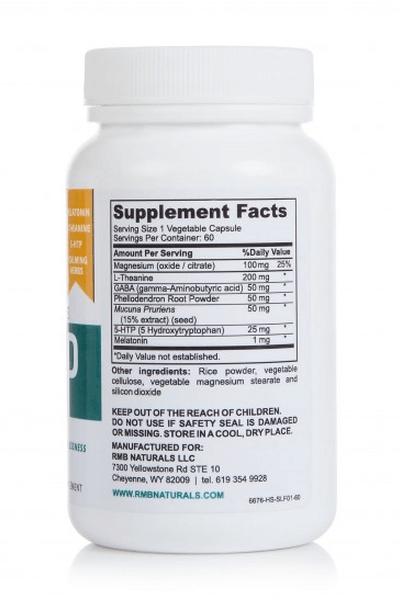 RMB Naturals adds that Magnesium is actually essential when it comes to GABA activity. That leaves the two most unusual additions to the formula: Mucuna pruriens and Phellodendron Root. The former is also known as the Velvet Bean plant, and there is a long history of its varied uses in Ayurvedic Indian medicine. It’s also been studied for its antioxidative properties and high concentrations of the amino acid L-DOPA; and though it’s not commonly thought of as a sleep remedy, the possibility has been explored. The latter comes from Phellodendron amurense, also known as the Amur cork tree; like Mucuna pruriens, it is a staple folk remedy, but in traditional Chinese herbal medicine. It has been studied, but in tandem with another plant, and in relation to stress levels and not sleep. Of note here is that in China it is the bark and not the root that is more often used. A pressed oil extracted from the fruit of the plant can also be prescribed for a variety of ailments. Both ingredients are present in the formula, according to RMB Naturals, due to their natural positive mood enhancement properties. RMB Naturals lists a single serving as one capsule, although you can take a maximum of two per dose. Like most sleep aids, taking it should be the last thing you do before you go to bed; no driving, operating machinery or other potentially dangerous actions should be planned immediately after the dose. It is also not advisable to take RMB Naturals Restorative Sleep Formula if you are pregnant, nursing, taking prescription medication or are under the age of 18. Unlike many sleep aids, RMB Naturals Restorative Sleep Formula is not heavy with sedatives. Even its main sleep agent, Melatonin, just has a sedative effect as a result of its regulative purpose; and the amount of this ingredient contained in one capsule of the supplement is very low in comparison to the standard in Melatonin blends. This points to a possible lack of potency in terms of encouraging sleep onset; although there’s a lot of focus put into making the formula a good fit for light sleepers. Many of the ingredients serve relaxation, anti-stress and anti-anxiety purposes; which may help lessen sleep interruptions. People with severe allergies may not be able to take this product. It states in the fine print that RMB Naturals Restorative Sleep Formula is manufactured in a facility which may process common allergens: fish, milk, peanuts, shellfish, soy, tree nuts and many more. This comes as a surprise, because it is explicitly stated on the official website that the founder decided to make supplements because most options available commercials contained elements of which she was sensitive. RMB Naturals doesn’t mention any side effects on the official website. The FAQ section seems like a token effort at best, and is not very informative. This is disappointing because more details are sorely needed; after all, RMB Naturals Restorative Sleep Formula is one of the most unique sleep aid blends of its kind. Worth noting that the company is barely two years old and also very confident about their formulation and testing processes; so it is possible that there have been no reported side effects or negative reactions to the supplement. The official RMB Naturals website has an online store; each product, including their Restorative Sleep Formula, is listed separately. Their products are also available on Amazon. All RMB Naturals products are made in the USA. Beyond that measure of comfort, there’s not much of a track record to go on, as the company was founded in 2015. However, formulations are created at an FDA-registered laboratory and manufactured in cGMP-compliant facilities. Every product is tested by a third party for potency and purity, ensuring that the company delivers exactly what’s printed on the label—no more, no less. RMB Naturals puts honesty, integrity and due diligence at the forefront of how they do business. We don’t know exactly how quality assurance works with RMB Naturals. Unlike some competitors, their website and social media accounts are a little lacking when it comes to the minute details of their operation; though by no means are they the worst at this. At the very least, there seems to be a genuine concern for their customers—we’ll get to this later—which bodes well for people who are truly curious and want to know exactly how their supplements are tested. The numbers lean towards the positive. There aren’t very many reviews of the product online, but generally the reception is good; negative statements are the typical short and curt “didn’t work for me” type, which is common for every sleep aid. Customer Support is well-rounded. There is a contact form on the website, an email, and also a telephone number and an actual physical address for snail mail queries. Their social media accounts are also fairly active. The customer service staff even replies to negative Amazon reviews. Worth noting, though, that the phone line isn’t toll-free and that there is no option for live chat; unless you try contacting them through Facebook Messenger, which they do not explicitly state as a customer service option. There is a risk-free, 90-day money back guarantee. RMB Naturals does state they you should try their products for at least 60 days before determining that it’s not for you, but that’s still well within their refund and return policy. This guarantee works whether you choose to buy straight from RMB Naturals or from Amazon. Additionally, there is a standing free product offer from RMB Naturals to encourage Amazon verified purchasers of their products to leave honest reviews—positive or not. More than anything else, these two customer satisfaction-based campaigns have us convinced here at Good Night’s Rest that RMB Naturals truly cares about the health and vitality of their customers. Price points are surprisingly different, considering that we found only two listings: RMB Naturals’ online store and Amazon. 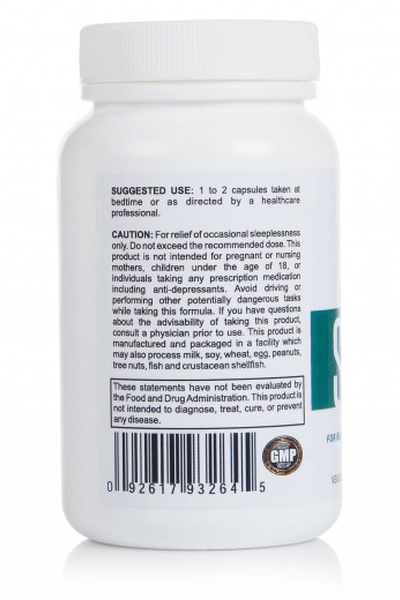 As of this writing, RMB Naturals Restorative Sleep Formula goes for $18.95 on the company’s store—with free shipping offered within the USA—and $22.75 on Amazon. Restorative Sleep Formula comes in 60 capsules held by a plastic bottle; this quantity is enough for one or two months of daily use. 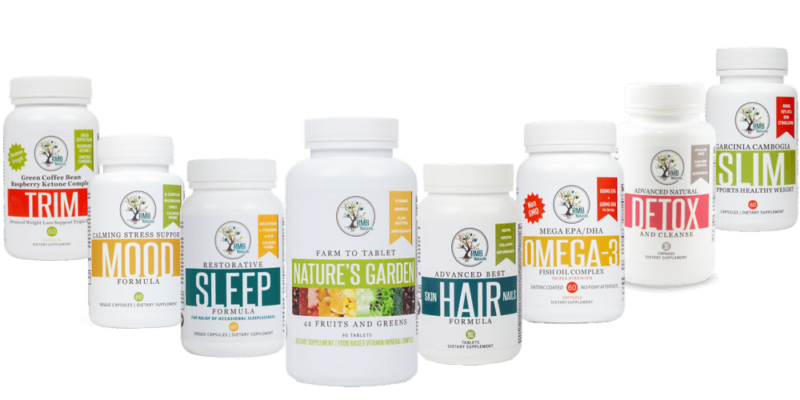 RMB Naturals calls their 90-day guarantee the strongest in the industry, but it isn’t; Nested Naturals offers a lifetime guarantee. Still, 90 days is pretty good; and coupled with free US shipping, an affordable price point and a chance to avail of a free product offer for an honest assessment, it makes for a very compelling deal. We are a little put off by the gendered marketing, as well as the lack of a real sedative element—the closest is Melatonin—though we do submit that this may be personal bias at work. The uncommon ingredients also make this product less predictable than its counterparts on the market. If you are female and sensitive to many dietary supplement blends, there might be an extra reason for you to favor RMB Naturals, as you are part of their target market. Check with your physician first, as always; if they approve of RMB Naturals Restorative Sleep Formula, there’s no reason not to try it out.